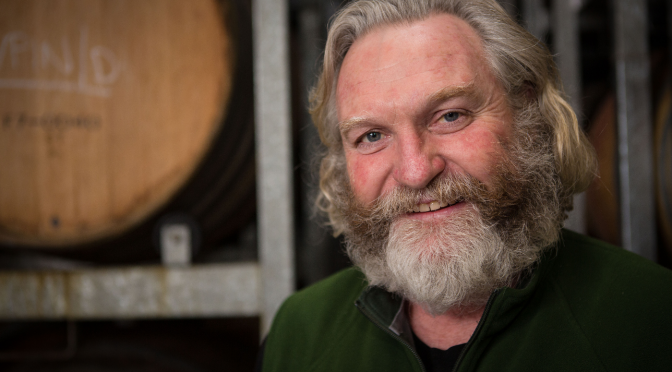 David Bicknell, Chief Winemaker at Oakridge in the Yarra Valley, has received one of the Australian wine industry’s most prestigious awards. Mr Bicknell was awarded the Gourmet Traveller WINE Winemaker of the Year 2017 at Adelaide’s National Wine Centre on September 23. The independent and distinguished judging panel, led by Chairman of Judges Peter Forrestal, comprised Huon Hooke, Peter Bourne, Nick Bulleid MW, Andrew Caillard MW, Mike Bennie and Toni Paterson MW. He thanked and shared the award with his family and the team at Oakridge. He also congratulated the other seven category finalists for the award. The award caps off a great year for Oakridge. It was included in Halliday’s roundup as one of the ‘Ten Best Value Wineries’ in Australia for 2017/2018. The 2018 Halliday Wine Companion notes: “If any or all of these wines by these wineries were blind-tasted against similarly priced wines from France, elsewhere in Europe and the US, the Australian wines would win hands down”. Want to read more? Meet Healesville artist Mim Kocher here.